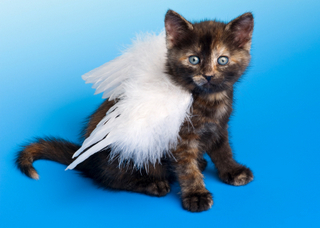 Here you will find a tiny angels gallery. It will help you bring a little bit of heaven into your day to day lives. 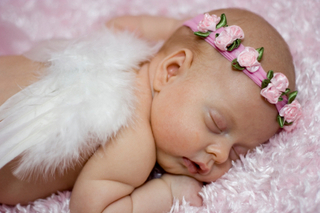 The image of a tiny angel will surely put a smile on your face. 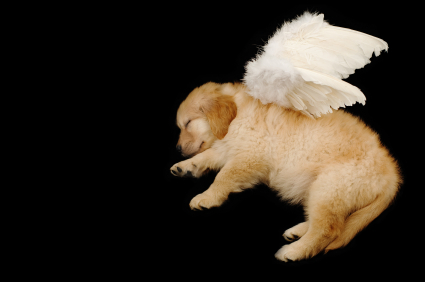 When people think of tiny angels, they usually think about cherubs. Interestingly, the cherubs (or cherubim) described in the Bible have nothing to do with the chubby angels artists have made popular. Cherubim are strong, fierce warrior angels. Now, let's go back to children and angels. 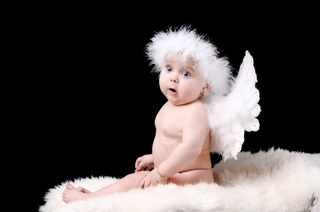 Many people compare the purity and innocence of children and babies to the qualities and virtues of angels. Indeed, young kids seem to keep a connection to the divine even as they grow. 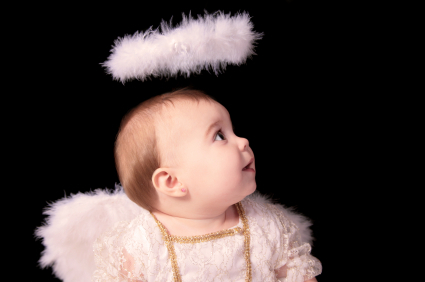 Many people believe that young children have the ability to see angels and the angelic realms. You will find many books filled with such stories. In any event, the pictures shown here will uplift you and make your heart happy. These babies and little children are truly angelic. They’re so adorable. Be my light on this land. Are you my guardian angel? I hope these images bring some cheer into your life. I smile every time I look at them. These pictures are so cute and angelic.